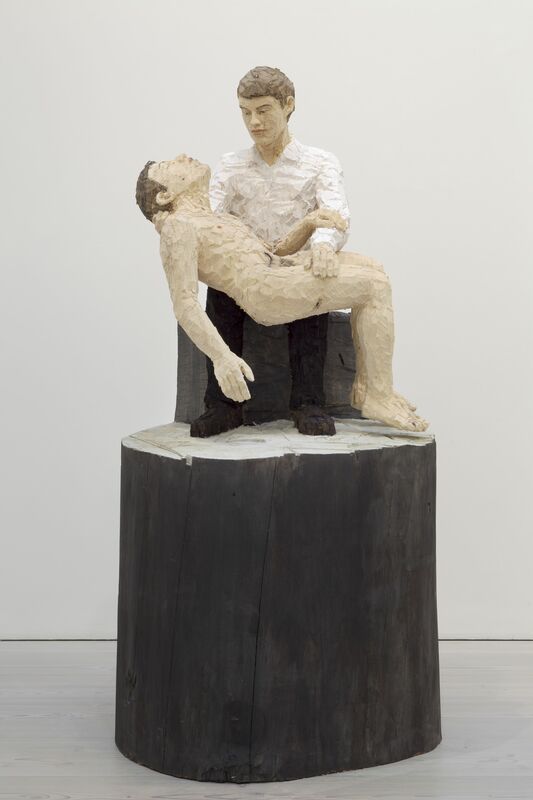 German artist Stephan Balkenhol is one of the preeminent sculptors of our time. 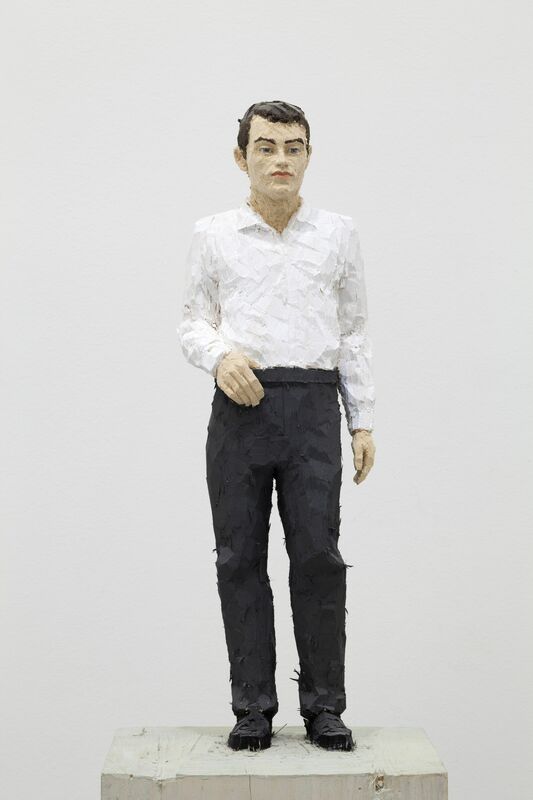 His practice grew out of the dominant trends of Minimalism and Conceptualism in the 1970s, where he stood alone in his desire to reintroduce the figure to contemporary sculpture. 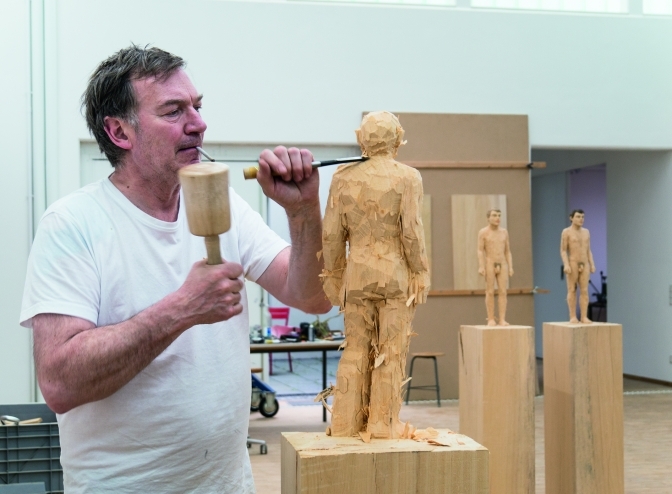 Carved from a single wood block and often incorporating a pediment, each work demonstrates the artist’s raw and spontaneous treatment of the material. 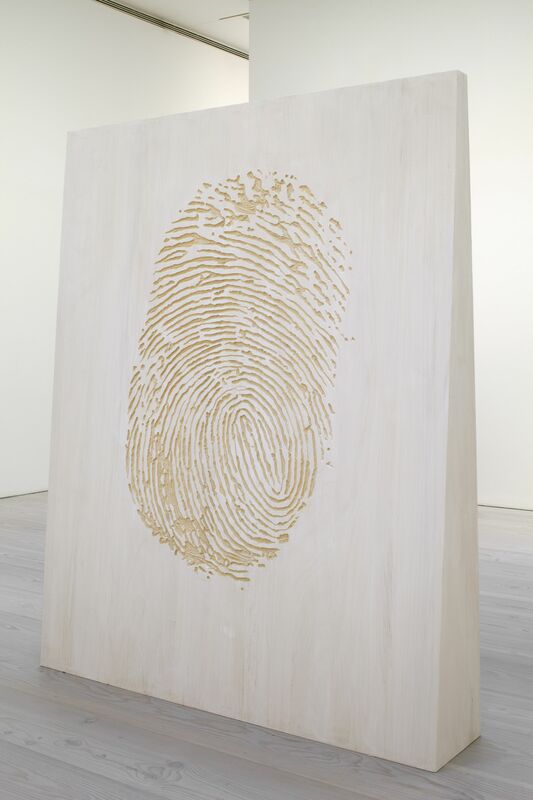 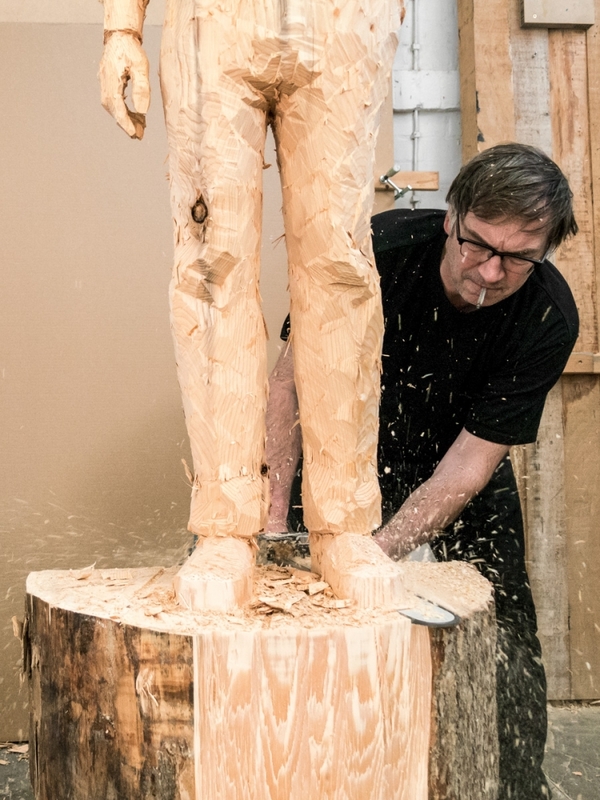 Chisel marks, fissures and splinters show the medium as both living and inanimate. 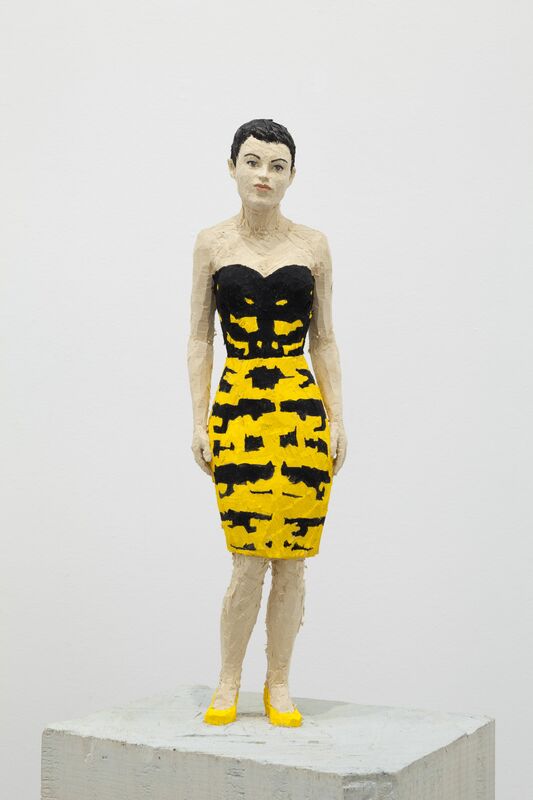 Moreover, the characters are painted in the simplest but most effective colors and color combinations. 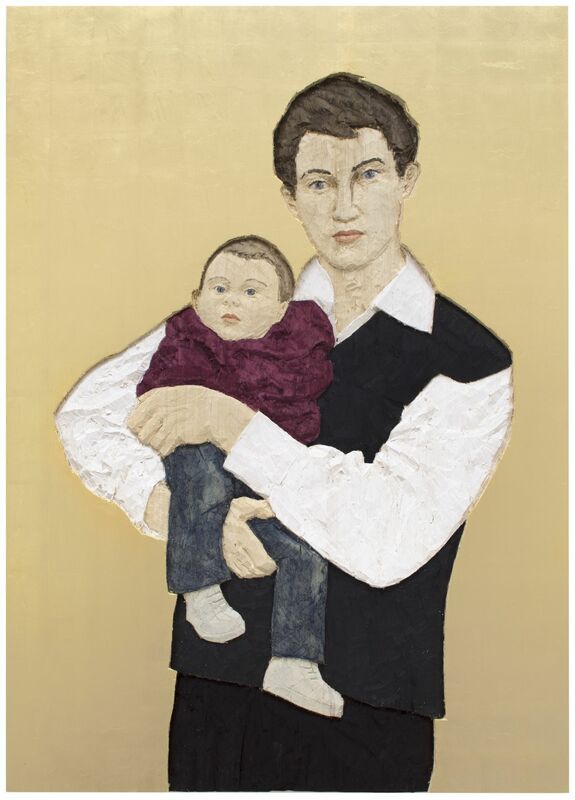 Balkenhol studied at the University of Fine Arts of Hamburg (1982) and has served as professor at the State Academy of Fine Arts Karlsruhe since 1992. 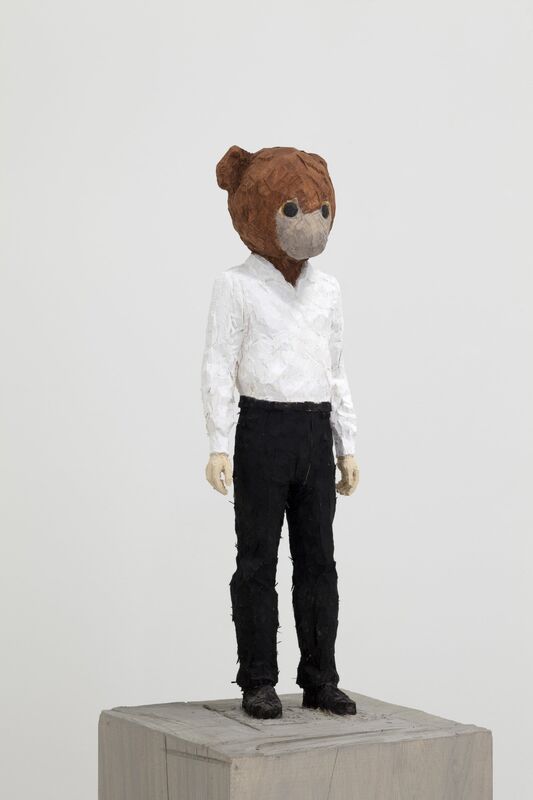 His work have been exhibited extensively in international exhibitions and is included in several collections, such as the Peggy Guggenheim Collection in Venice, the Staatliche Museen in Berlin, the Hamburger Kunsthalle, Museum für Moderne Kunst in Frankfurt, as well as in the Art Institute of Chicago. 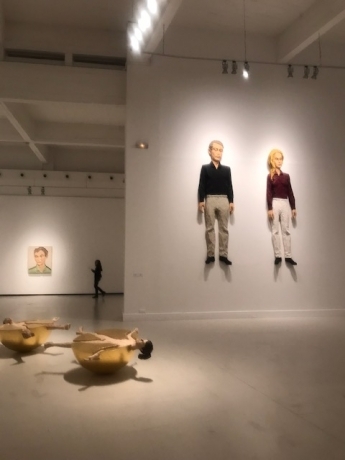 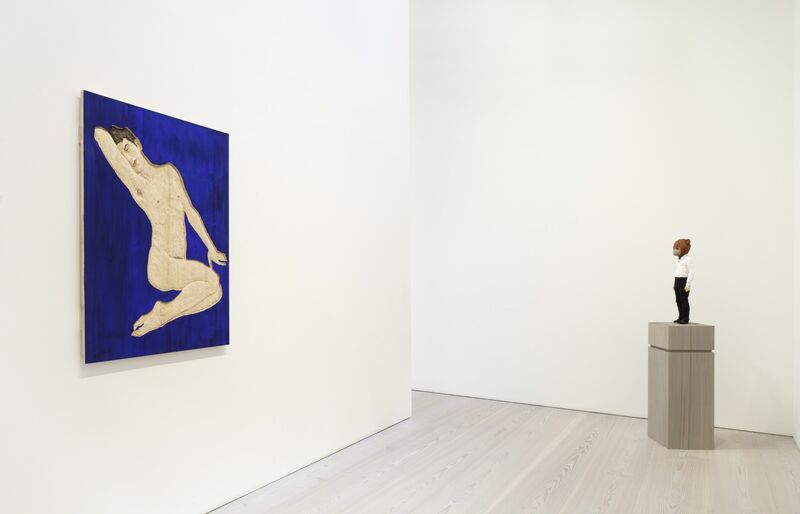 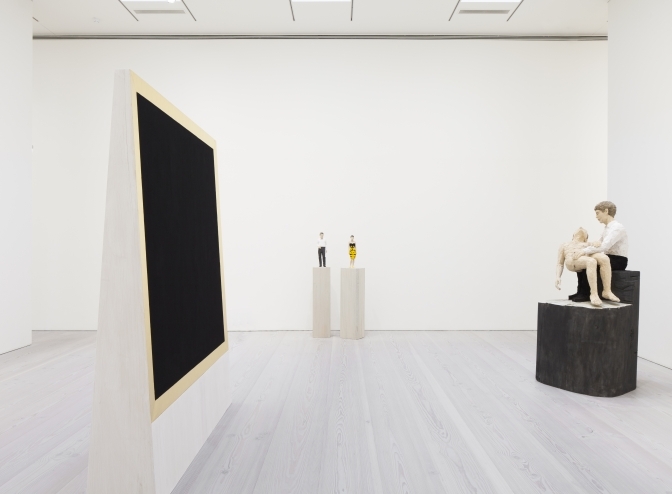 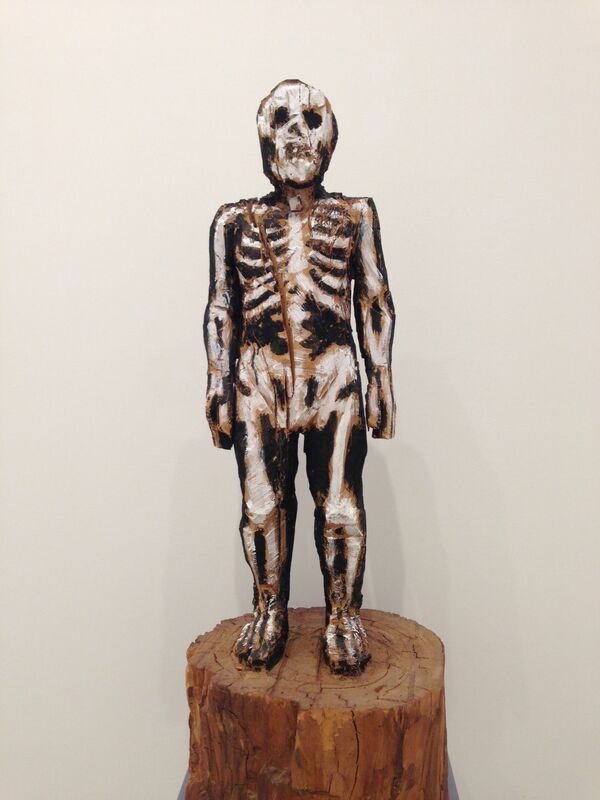 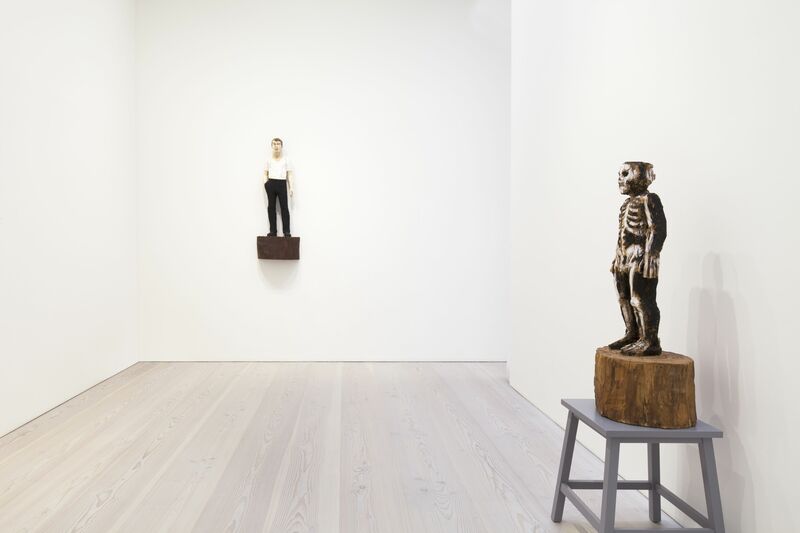 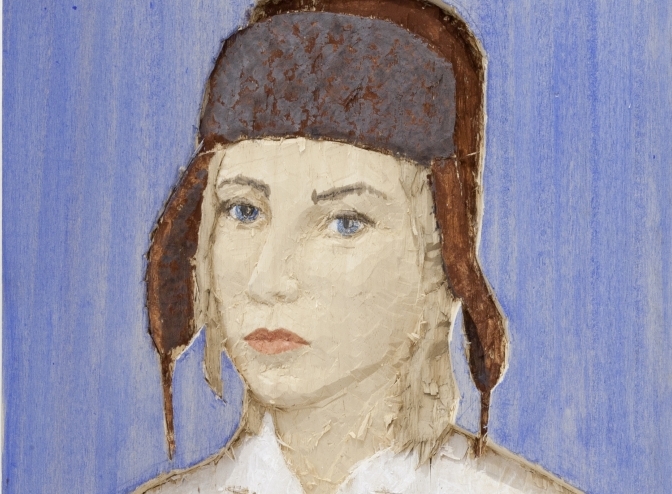 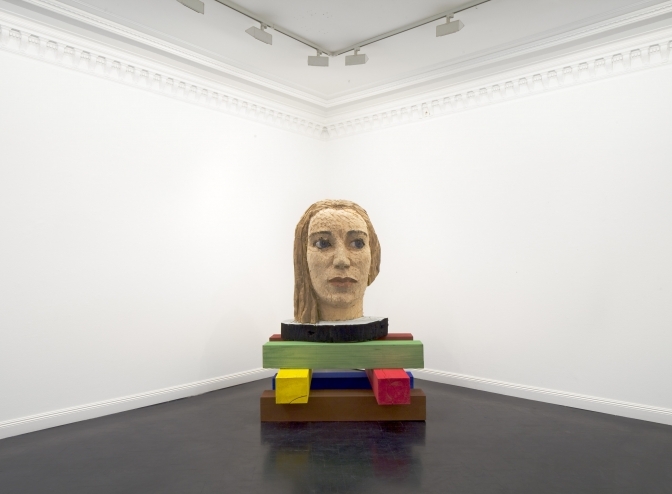 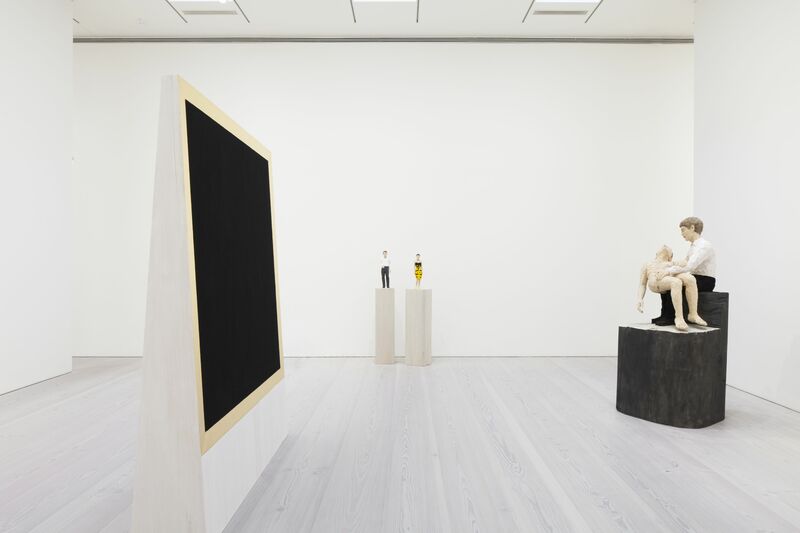 Galerie Forsblom has been representing Stephan Balkenhol since 2009.